It is true what they say. Beauty comes at a price. From freshly manicured nails and root touch-ups to perfectly shaped brows and hair removal, keeping up with appearances takes time, drains your wallet and can leave you with unwanted side effects, such as skin irritation and ingrown hairs. 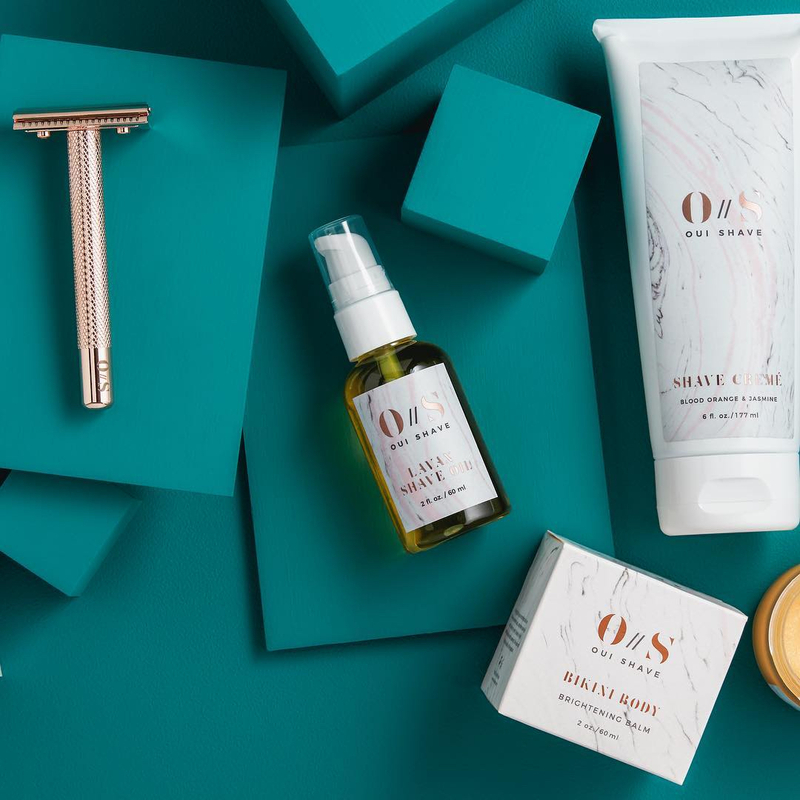 Like many of us, Oui Shave’s founder and CEO Karen Young has suffered from terrible shaving experiences before. When she realized her personal struggle with at-home hair removal were common issues that other women also faced, she got the idea to start a new company. Its only mission was to solve the typical problems of shaving. 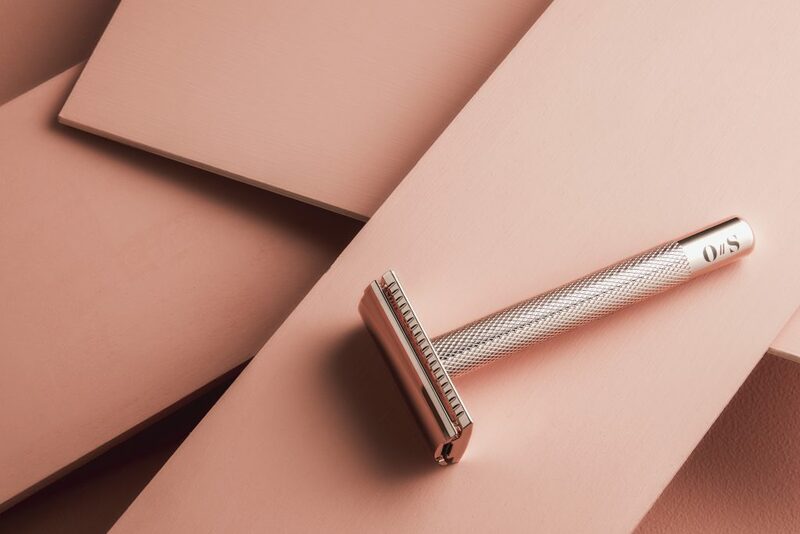 The result of Young’s research is a stunning rose gold single-blade razor made by a century-old specialist manufacturer in Germany. It quickly made its way on to the pages of Vogue. 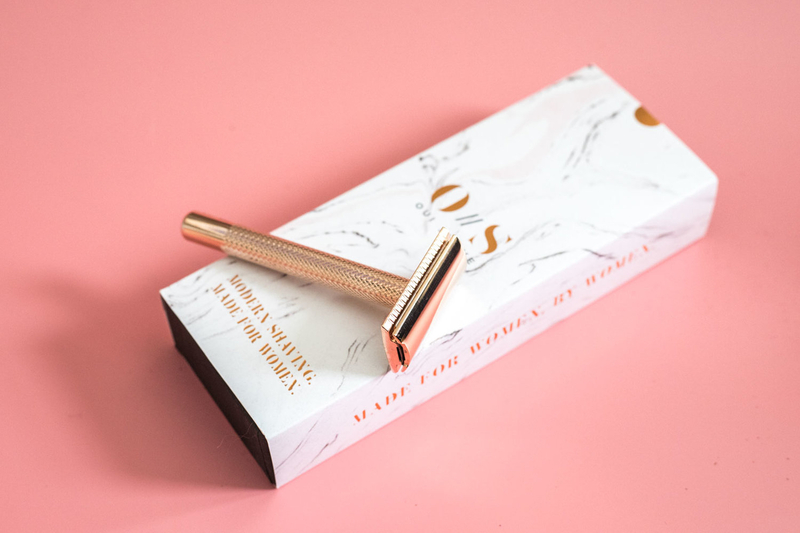 With only one blade and a weighted head, Oui’s razor is designed to glide gently over your skin at just the right amount of pressure for a close, smooth shave. By skimming hair at the surface of the skin, it is unlikely to get trapped, which means ingrown hair, razor burns and irritation become a lot less common too. This makes a world of difference compared to your typical plastic pink disposable razor from the drugstore. With multi-blades, the hair is removed, one blade after another, until it dives below the surface of the skin. When hair grows back, there is more chance of it getting trapped, irritating the hair follicle or curling back into the skin, leading to pesky ingrowns and aggravated skin. But Oui isn’t just changing the shaving experience for women; it is also helping the environment. More than two billion plastic razors end up in the landfills every year. Disposable razor’s short life span means it gets disposed quickly and bought more routinely, ultimately resulting in more plastic getting thrown out. In fact, many of Oui’s followers have defended the razor’s price tag of $75 (one pack of 10 blades included) because of the durable handle’s eco-friendly benefits. Not only does it save a lot of plastic, but it also means it saves you money from replacing your razor’s head every other week. With high demand and a cult following, Oui products are flying off the shelves. In 2016, the company saw 300 percent growth while being mostly self funded; it has gained more traction since, partnering with stores like Anthropologie to sell their products. But don’t expect Young to slow down anytime soon. We have a feeling this entrepreneur is only getting started.